Michigan's $109 million early education budget paid for about 32,000 children last school year. This year's $174 million budget covers about 48,000 children. The state provides free preschool for children from moderate- and low-income families. The cutoff is about $39,000 for a parent with one child and about $59,000 for a family of four, with positions going first to the poorest children. The Detroit News says about 500 more preschool-age children are expected to enroll in Detroit Public Schools this school year. 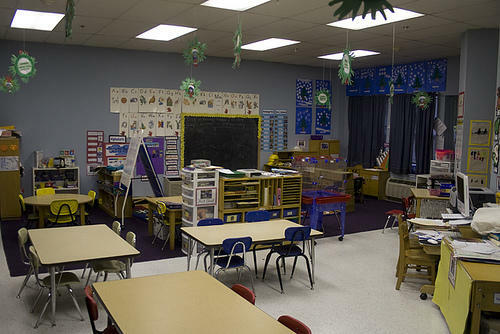 The district says it has 215 preschool classrooms at 70 schools with a capacity for 3,530 children. These are trying times for families who rely on Head Start to give their preschoolers the big boost that can make the difference between success and failure in school. That's because the federal sequester cuts have made a big hit on the number of slots available to preschoolers. Nationwide, 57,000 kids have lost access to Head Start. And the threat of deeper cuts looms when the debt ceiling rears its head again this fall in Washington. Robin Bozek, the executive director of Michigan Head Start Association and Mary DeLuca, the Head Start director for the Community Action Agency of Jackson joined us in the studio to talk about how Michigan’s preschool kids are affected by the budget cuts. 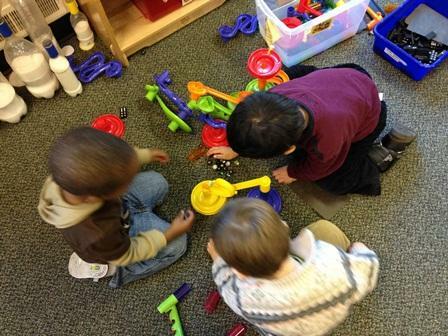 Some of Michigan’s preschoolers are paying the price as federal sequester cuts sink in. On today’s show we take a look at what the cuts mean to families who rely on Head Start in Michigan. Later in the hour, we speak with Blaine Pardoe, author of the new book Murder in Battle Creek: The Mysterious Death of Daisy Zick. But first, Congressional leaders met today with President Obama to talk about the situation in Syria. Over the weekend, the President called for the United States to take action against Syria for their alleged chemical weapons use. But the President said he wanted Congressional support for the action first. Also, we hear from Congressman Justin Amash of west Michigan about his thoughts on the situation in the Middle East. Finally, the Capuchin Soup Kitchen has been in continuous operation on Detroit's East side since the Great Depression starting in 1929, and the friars' mission in the city dates back even further to 1883. Brother Jerry Smith, director of the Capuchin Soup Kitchen discusses how the face of poverty has changed over 130 years.